The Anchorage School District is asking the community how it should fix its budget gap for next school year, including whether it should start charging students to use the school bus. If the level of state funding remains unchanged for the 2018-19 school year, the district anticipates a general fund budget gap of roughly $9.7 million, or about 1.7 percent of the total general fund budget. The gap is driven by factors including increasing insurance costs and utility bills, according to a budget document. To close the gap, the district will have to reduce its spending. 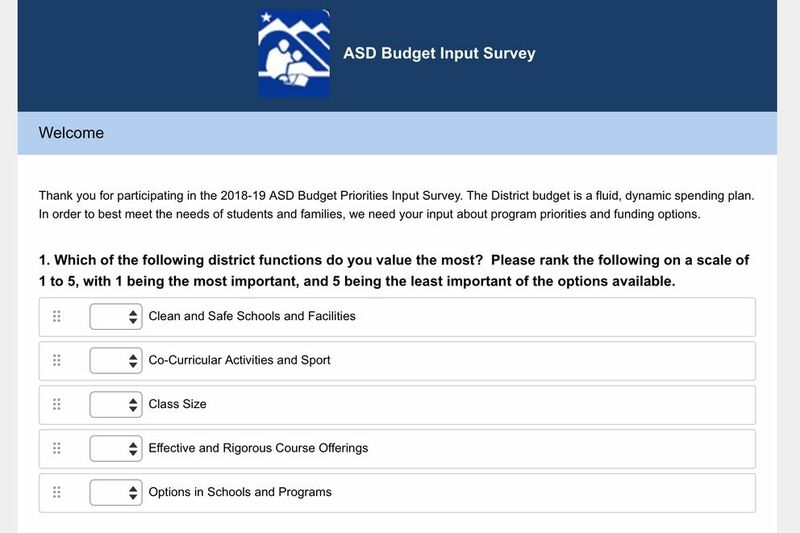 As part of that process, it created an eight-question online survey to get public input, according to a statement from Anchorage School District Superintendent Deena Bishop. "Information gathered informs the School Board and administration about the pulse of our community," she said. The survey asks community members what they value most in schools and in what areas they think the district should cut spending. It includes questions about whether the community supports increasing student fees for activities and supplies to preserve teaching positions and class sizes, as well as whether the district should ask students who use the school bus to pay for the rides. In addition to the $9.7 million general fund budget gap, the district is anticipating a $3.5 million gap in its transportation budget — nearly 14 percent of that budget's total. School Board member Tam Agosti-Gisler said transportation funding has not kept pace with inflation, forcing the district to dip into its operating budget to pay for buses. She said community members have brought up charging for bus service before. The survey simply punts the suggestion out to the public to see what they think, she said. People can take the survey through Dec. 22. It can be found at asdk12.org. The district is scheduled to present its 2018-19 budget to the Anchorage School Board in February and to the Anchorage Assembly in March.